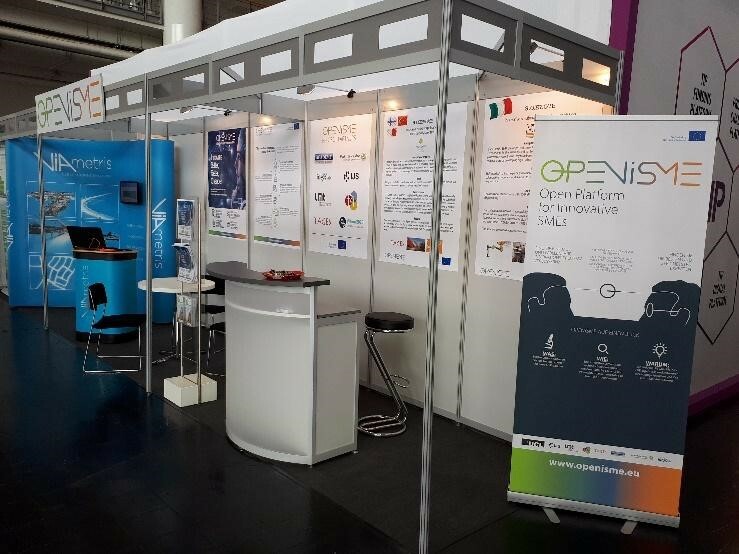 OPENiSME had a booth at the Hannover Messe, one of the world’s largest trade fairs that took place in Hannover from 23 to 27 April 2018. It was an opportunity for the consortium to present the platform and the aims of the project. It was also an opportunity to present OPENiSME success cases. The public was very interested in the tool, especially researchers, Innovative SMEs but also big companies. The high number of letters-of-intent confirmed the good feedback from the visitors. Vice-president of Region Pays de la Loire, Paul Janneteau, visited the booth and demonstrated his interest in the project, contacting the consortium with a French SME. One of the most important activity during the fair was the B2B matchmaking; the event was important not only to promote the project but also to investigate about newest information and updates in the Open Innovation field.